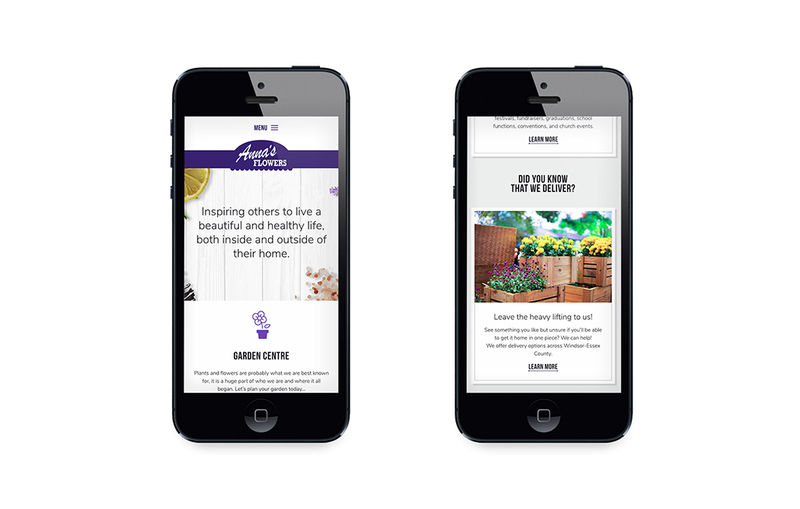 Anna’s Flowers was in need of a website renovation that would reinvigorate their brand and appeal to a younger demographic. RC Design was along every step of way, beginning with the initial discovery work to identify the goals and challenges of the shop’s target audience, setting the foundation for a truly personalized web experience. Besides receiving a fresh new look, the website also more effectively showcases the brand’s diverse collection of products and services within its friendly and colourful layout. Bold and clean typography pairs with images that harken back to the company’s humble beginnings as a roadside vegetable stand to complete this lively website.